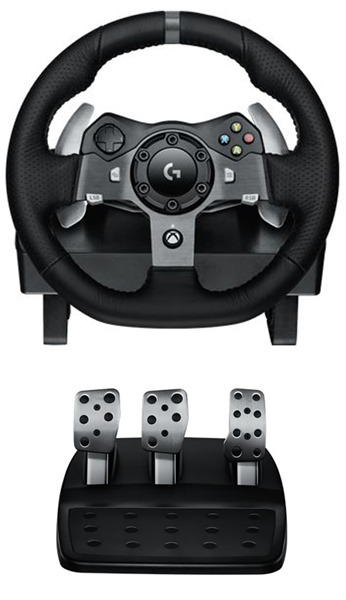 Designed for the latest Xbox One and PC titles, G920 Driving Force features dual-motor force feedback and quiet helical gearing. On-wheel buttons and paddle shifters help you make crisp, precise gear transitions, while the separate pedal unit gives you natural, responsive foot control. Driving Force is built for comfort and durability with hand-stitched leather and stainless steel components.